The perfect GIFT Any Time of the Year! 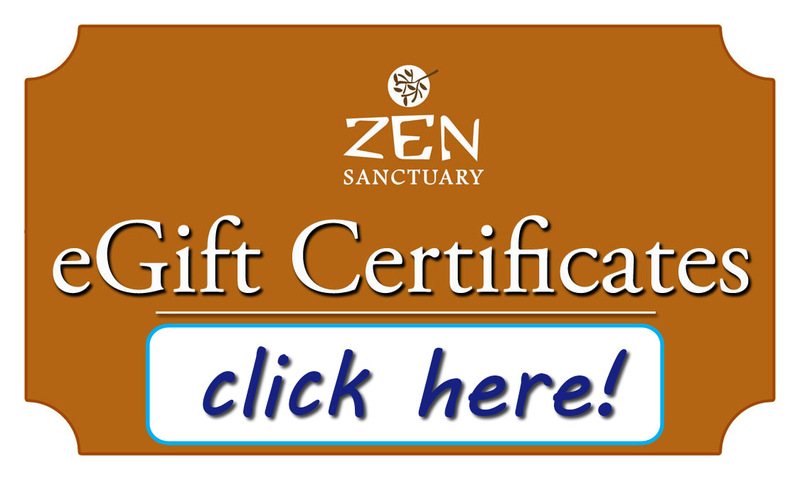 Purchase YOUR Gift Certificate from Zen Sanctuary ONLINE Now! This beautiful sanctuary, with all bamboo floors, awe inspiring scenes of nature depicted by large paintings is truly a calm retreat, a place of re-nourishment to help people breathe deeper and live a more "stress free" life. Come into Zen and enjoy refreshing spring water or nourishing herbal tea. You'll be glad you treated yourself to better health. Read what our clients are saying . . .
Zen Sanctuary will help you reach a new state of awareness by enlivening all of your senses -- smell the rich healing aromas, feel the inner calmness, hear the relaxing sounds of nature, envision the tranquility of a balanced peaceful self. 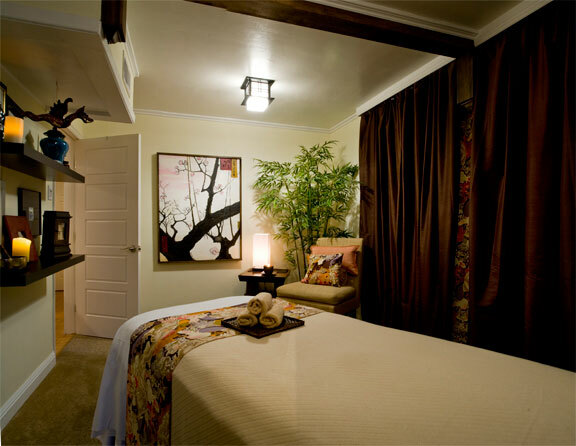 Zen is not like other spas, health clinics or wellness centers. Stop by to see and feel the difference. Whether you are looking for a deeply relaxing massage or the best therapeutic, healing touch, acupuncture or Chinese medicine, facial or waxing, energy work or hypnotherapy, Zen will provide the most enjoyable and thorough experience. 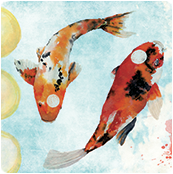 Zen was created by Health Professionals - Chinese Doctors, Estheticians, Acupuncturists, Holistic Health, Energy Healers, Hypnotherapists and Massage Therapists. Your whole Health is our focus. Zen is meant to compliment the services of medical doctors, chiropractors, surgeons, personal trainers, yoga instructors, and physical therapists. Located in the beautiful community of Kensington, surrounded by mature trees and neighborhood walkways, this unique sanctuary offers a respit from the bustling of the everyday world. Zen offers off street parking, complimentary soothing teas, refreshing spring water and a space for healing. Massage: Enjoy a relaxing massage or choose a more therapeutic deep massage. Each therapist is able to create a session tailored specifically to fit your needs no matter what massage modality you choose. For expample, our deep tissue massage, the Kumanisha Deep Tissue relieves pain by working tendons, ligaments and congested muscle tissue which opens contracted areas which greatly eases tension and soreness. Effective Skin Care: The Health of one's skin is a vital part of sustaining balance and well-being. Our services incorporate organic plant extracts, seaweed, and essential oils with cutting edge technology and results oriented products. Our Zen Facial is a customized treatment that includes: deep pore cleansing, exfoliation, extractions, mask and moisturizer. A relaxing face, neck, shoulder and hand massage completes your sense of well being. 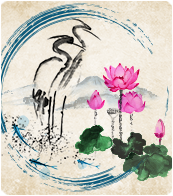 Come experience the healing wonders of Zen, an all natural sanctuary for Massage, Acupuncture, Herbal Medicine, Skincare, Nutritional Therapy, Energy Healing and Hypnotherapy. We are waiting to serve you. Zen Sanctuary, Healtana, DoaTai, Kahlomi, Kahlomi Destress, Shianma, Shianma Therapy, Taoshin, Taoshin REbalancing, PedaChi, Buddharom, Kumanisha, ZenStone, and Medica Cleanse Mud Wrap are all copyrighted. All rights protected.